Franciscan Missionaries of Mary. 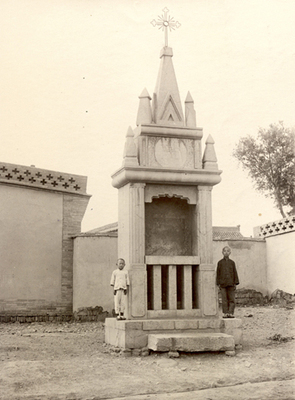 Memorial monument, 1900 Boxer martyrs of Shanxi. Shanxi, China. B/W Photo.